The time arrives when the roles reverse. The years parents lovingly carried you to the doctor when you were ill has now taken an about face. You, the child, are now in charge of your aging parent’s care. What do you do? It’s a shock when the roles reverse. As children we remember the strength and dependability we’ve found in our parents. When the realization that these things are slipping hits, we’re a bit taken back. The key to getting a handle on your new role is to first sit back and take a deep breath. Give yourself a day to absorb the change and yes, to mourn just a bit. It’s sad when we realize our parents are no longer able to care for themselves. There’s a certain amount of fear attached. Will I make the right decisions? What would mom or dad want? What about the finances? It’s easy to go into caregiver overload. So take a day. Enjoy memories of the past and then move on into the present. There’s no reason wonderful memories can’t continue, but the key lays in how we handle the situation. A simpe three-ring binder from the local Wal-Mart can make all the difference in the world. It becomes your brain book. Take time to make one. Add paper, dividers that list things like appointments, notes from appointments, questions, physician names and phone numbers. 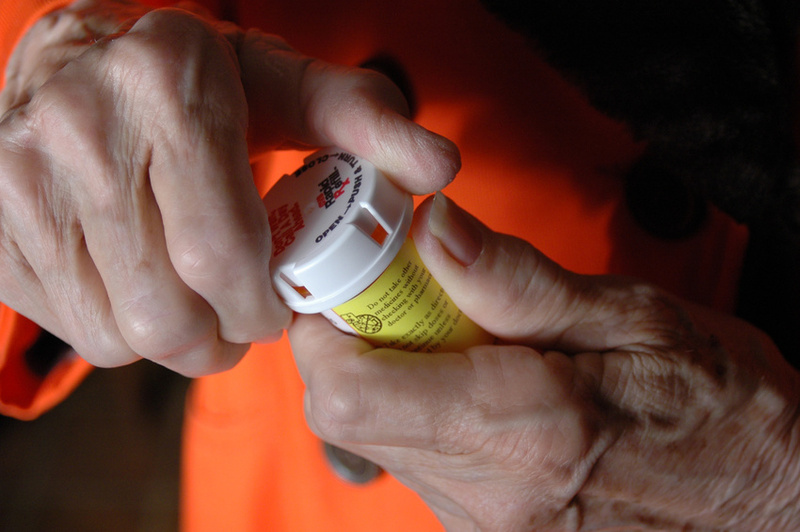 A tab for medications is valuable to note medication changes and what meds your parents are currently taking. Take time to sort through the list of doctors who care for your parents and consider what and who can be consolidated into medical groups rather than individual doctors. Sometimes health issues will not allow this but if possible, narrowing the care to one or two primary physicians allows for a cleaner plan of care. Doctors in the same group can talk, work together and plan necessary medical care for your loved one. If your parent is in a medical situation which will not allow this consolidation, the list all the names, numbers and addresses of physicians and add them to a notebook for convenience. Add the hospital of choice and the number as well as the ambulance service of choice to this book. Having this at your fingertips is a life saver. If there are siblings, choose one to be the liaison between family and physicians. This person will attend medical appointments, take notes, ask questions and gather suggestions on behalf of the other family members. The adage, “too many cooks in the kitchen” is true. When too many individuals have a hand in this very important communication, misunderstandings and miscommunications happen. Choose one person to manage this part of your parents care and let them handle the questions, make the family communications and set appointments. Add complete notes for each medical visit to the care notebook. Include any suggestions or changes to medical care or medications. Make sure you have dual power-of-attorney in place. Secure medical and personal power-of-attorney so in the event of an emergency you have the power to care for your parent as needed. Keep a copy in your car, with each family member, and even post a set of legal papers on the refrigerator in the event EMS must come into the home. Add these papers to your notebook as well. If you are not getting the attention you feel your parent needs with their current physicians, exercise your right to find a new doctor. The fit between physician and patient must be tight and good. You must feel secure in the attention. Don’t be afraid to ask questions. In emergency situations fear will sometimes slip in. Remember, even in fear, be kind in your communications. If you find it difficult to discuss a medical situation with a calm attitude and firm kindness, find someone who can help you communicate clearly. If you need caregivers to help with the care and safety of your parents, get help. Yes, there is a cost involved but having this help does two things 1) it offers respite in the care of seniors for the family 2) it gives a second set of eyes watching over the needs of your loved one. Role reversal is hard. But the path can be smooth for just a little preparation. Take time to make ready the path. When the time arrives to walk it, you’ll have an easy to follow map. This country has recently seen a number of incidents of elder abuse and fraud. In lieu of these issues it’s important that families and friends of the elderly understand the types of abuse which plague our seniors, educate themselves and become an active force in recognizing and protecting these individuals. The word alone will send a chill down your back. And in a world of such uncertainty, not only are children attacked but our elderly are prime targets as well. Abuse rears its ugly head in more forms than just physical attacks and it’s important for us as caregivers of the elderly, to understand the methods which plague our senior citizens. Mental Abuse – Many times impatience brews in family members and friends as seniors become increasingly more dependent. As their mental capabilities deteriorate and the level of understanding normal daily routines falters, individual will become “curt” or “short” with parents. Frustration rises because seniors may be a bit more contrary than in the past. It’s not uncommon for individuals to “brow beat” parents, verbally attacking their sense of dignity and degrading their sense of self-worth. Financial Abuse—Our parents have worked hard through the years scrimping and saving for their retirement. At best, many live a meager lifestyle. Unfortunately, predators do not pick and choose their victims by wealth, rather by vulnerability. Elders fall victim to phone scams, door-to-door salesman, slick con men, even well-meaning neighbors who will take advantage of someone who is unable to care for him/her selves. Worse yet are family predators: those within the immediate family, who freely take from the finances of their seniors without permission or under the smoke screen of “caring” for their needs. Families will come to blows over a small senior savings long before the death of a parent, leaving elders feeling unloved and unwanted. Nil-Care Abuse—Nil-care happens when caregivers, whether family or friends, become more concerned about what will be left in the will of their senior if finances are spent on their care now. Seniors will suffer from lack of medications, in-home assistance, facility care, even food and clothing when greed becomes the driving factor in their care. Harsh, you ask? By all means. Abuse, in any form, is cruel—especially when it’s dealt from those we think love us. Providing in-home care is not inexpensive, but many times it is the best route to protect our aging parents, by allowing a third-party watchful eye. An in-home caregiver can provide the additional space between family members to help keep a clear and safe care plan for seniors. Though nothing is fool-proof, however hiring a state licensed and bonded in-home company can provide that watchful eye and help maintain and preserve the valuable parent-child relationship that aging can steal away. Be aware daily of the signs of elder abuse and remember, they do not always come in the form of bruises. As we enter into the cold and flu season it’s time to begin to prepare for the unexpected. Our elderly are prime targets for flu epidemics and pneumonia. Learning ways to increase the safety and security of our senior’s health can be managed with simple steps by caregivers and family members. On average, 226,000 people are hospitalized every year because of Flu and over 36,000 die – unfortunately, the deaths are primarily the elderly. On the whole, most of our seniors fare well through the flu season, but for those who have chronic illness, a tendency to not eat well or care for themselves accurately, the effects can be devastating. Begin with good common sense. Take an inventory of how well your loved one’s home is insulated from the elements. Repair any simple home damages that allow cold winter air and dampness to seep into the home. Keeping a home dry, warm and free of mold secures better overall health. 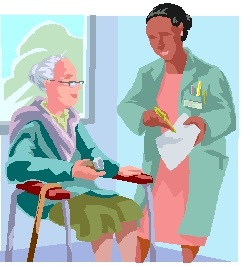 Encourage your elder family members to obtain the flu vaccine. According to the Center for Disease Control, physicians are recommending two flu injections—the first for the yearly strain of the flu and the second as a protection against Swine Flu. Make an appointment with your local health department or physician and do it early before the flu attacks. Build the immunity levels now. If there are private caregivers in the home, encourage them to do the same. Keep trash cans lined with can liners and keep tissue throughout the home. Empty them daily and spray with an anti-bacterial spray. By the same token, keep hand sanitizers in several areas around the home, especially in the kitchen, bedroom and bathroom. Buy anti-bacterial wipes and keep door knobs, toilet handles and refrigerator handles wiped clean. Wash, wash, wash your hands and encourage your caregivers and family members to do the same. The best offense to the flu is simple defensive hand washing. Soap and water does wonders. If you become ill and run a fever, stay away from others. Most fever carries an infectious period of 24 hours. Mingling with others while ill only spreads the infection and opens our seniors to an unnecessary exposure to live virus/bacteria. Our elderly have weaker immune systems and a common cold can turn quickly, leading into pneumonia and even death. Make sure your elder parents maintain a good diet. The elderly tend to eat less so keeping them on top of a good healthy, diet rich in vitamins A, C, and B, as well as the omega-3’s will help build a strong immune system and give them energy. If your loved one requires assistance in the home, make every effort to find a way to provide the additional help. More and more insurance companies are turning to in-home assistance to help keep the elderly safe and healthy. Daily monitoring of the needs of your loved ones can be managed easily by good, dependable caregivers who love their profession. Reputable companies like Comfort Keepers can guide and direct families with the needs of their aging parents and work to keep them as healthy as possible through the flu season.